This chapter reviews a publication from our group. 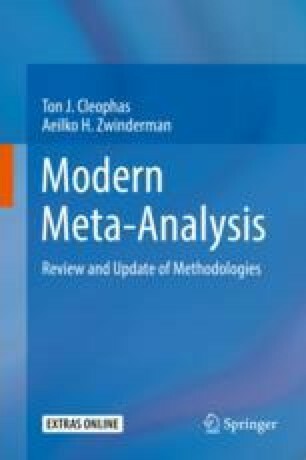 It is the first publication of a combined meta-analysis of different classes of study designs. The real data example of 39,505 patients as used, showed, that combining the data from 10 observational and 7 randomized controlled trials provided more power of the pooled outcome, and a larger body of data enabling to consider a secondary outcome, i.e., excess in mortality. Furthermore, it provided no publication bias, no lack of robustness, and little and clinically unimportant heterogeneity.